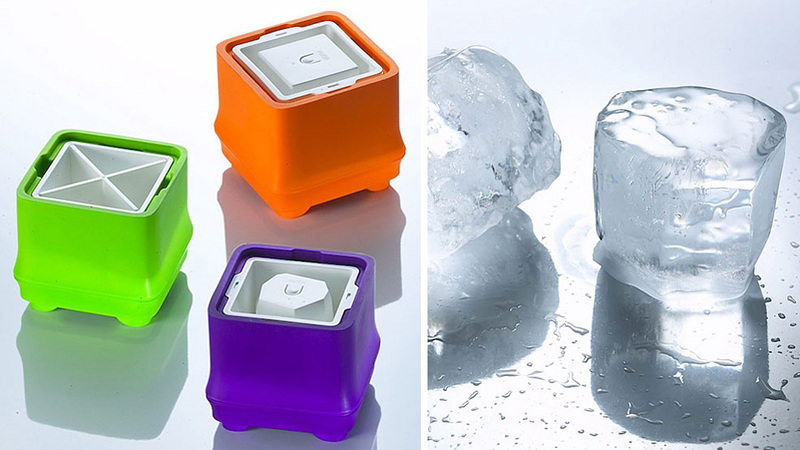 If you prefer your ice cubes to be free of cloudy bubbles and have loads of free time on your hands, the Polar Ice Cube Tray promises frozen perfection, one ice cube at a time. In nature ice is formed layer by layer from the top, pushing impurities and bubbles down as it freezes. But in an ice cube tray inside a freezer, the cold comes from all sides resulting in a cloudy and unappealing frozen block. So the Polar tray mimics mother nature with an insulated design that only lets the ice freeze from the top. 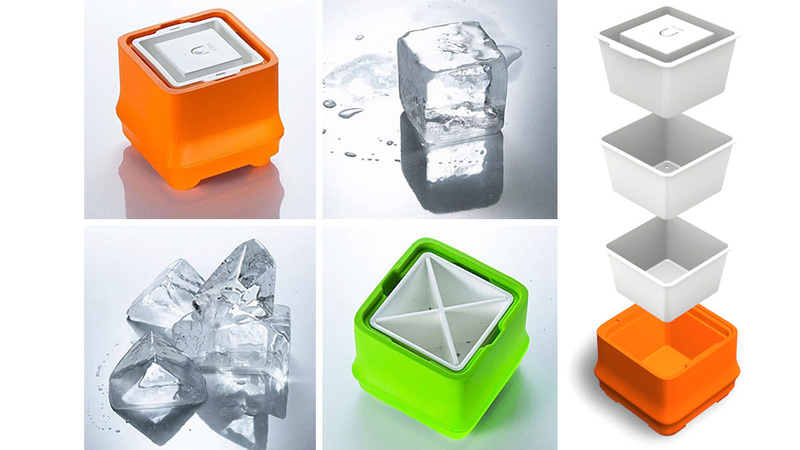 Once the water is completely frozen, the cube can be removed and the opaque ice at the bottom can be shaved off.